Tree work under way at Minter’s Farm. We feel like we have a various selection of trees this year. We have Leyland Cypress, (the tree that stays green and doesn’t shed needles) from four to about eight feet tall.We also have Virginia Pines as well as a few Murray Cypress. 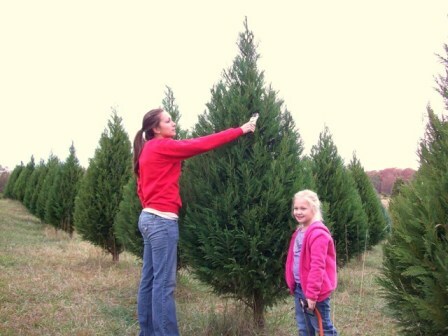 In addition to the Leylands and Pines, there is a small selection of Red Cedars that will be available to cut on the 2nd weekend in December. 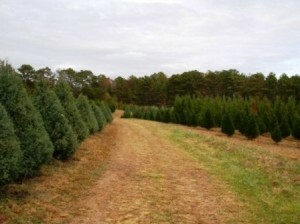 And we will have some especially nice fresh-cut Fraser Fir trees from 5 to about 9 feet tall. 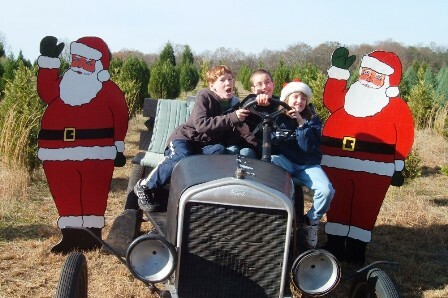 We’ll offer hayrides through the farm during the Christmas season. We sure hope you can come out and enjoy spending some time in the country this fall and winter – and get a nice tree too! We’re open every Monday thru Friday 10 a.m. until dark (about 6 p.m.) and Saturdays and Sundays from 9 a.m. until dark (6 p.m.) beginning Thanksgiving Day, and we look forward to seeing our old friends and to making some new ones. Make a fresh cut on the truck when you get home. The sap can seal over quickly and won’t allow water to be absorbed again. The bark is also a valuable way for the tree to absorb and keep the moisture; so avoid whittling away the sides of your trunk if at all possible. NEVER let the water go below the bottom of your trunk (it’s easy to forget but set a reminder on your phone to check/water your tree). As soon as you get home, place it in water. Trees like the Leylands and Murrays can take in as much as 2-3 gallons of water the first day after they’re cut. Do NOT place your tree near a heat source. It may look the best by your fireplace, but if it’s lit this year the tree will dry out and potentially catch fire! (Even a fake tree – the f-word for us at the farm – can catch fire by a lit fireplace). Remember, these trees are used to cooler/cold nights… and many of us don’t keep our homes in the 40s at night. Other heat sources are windows with sunlight pouring through, vents, TV set, etc.. It is advised to keep your room temperature lower than usual to reduce drying out. If you don’t have options, be sure to close off your vents/block them off to reduce drying out. WATER WATER WATER! We cannot stress this one enough. Minter Farm is Fayette County’s largest Christmas tree farm, with more than 1,500 trees ready for purchase this holiday season. 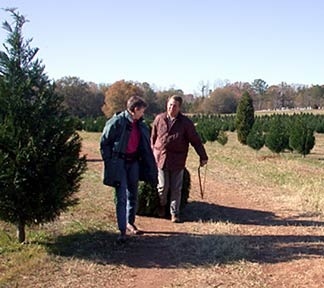 Leyland Cypress, Murray Cypress and Virginia Pines trees are grown on the farm. 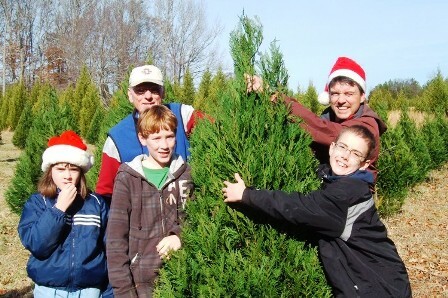 Fraser Firs come from North Carolina. We furnish saws so you can cut your own trees or we’ll help you. You can drive to the fields or we’ll carry you on a hay ride. We have materials to tie your tree to your vehicle. We also have a Christmas Shoppe for all your decorating needs as well as stands and wreaths (pre-ordered). We also can drill your tree if your stand requires it. Come in to our Christmas Shoppe and get a sample of our spicy apple cider. Come see us. You’ll have a great time. 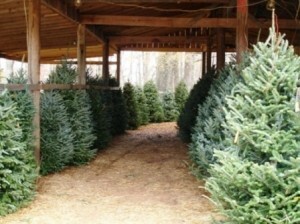 You can pay for your tree with cash, personal checks, or all major credit cards. Trees for Troops 2018 – the deadline is Monday, November 26th to send a real tree to the families living on base at Naval Air Station Jacksonville. What a wonderful way to show your support and thanks to the men and women who make this country safe. For $20, you can send a real tree to their homes and send a personalized message with the tree. Click this link to participate!